Italian poet Cesare Pavese captured the essence of life in two short sentences: “We do not remember days. We remember moments.” Remember your first kiss? How about the moment you first held your child? Think about the moment you said, “I do.” These are moments that transcend time and space to leave an indelible mark in your soul. 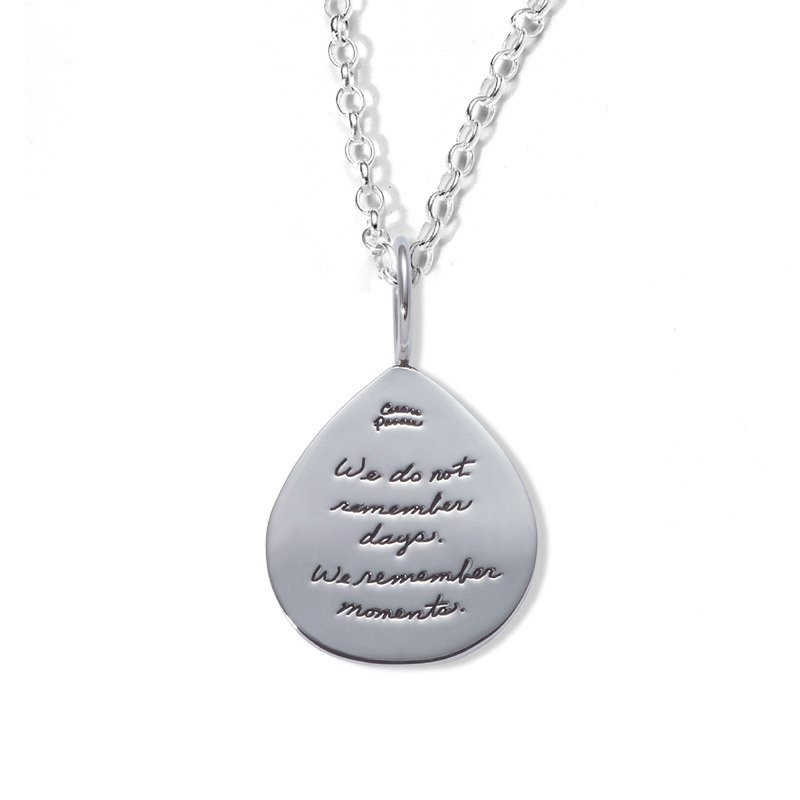 This delicate sterling silver tear drop pendant is a lovely gift for anyone who has shared a special moment with you. It’s sure to earn a smile on a milestone birthday or for a special anniversary. Pavese truly understood the meaning of the words, “We do not remember days. We remember moments.” When he was just six-years-old, a brain tumor killed his father. His mother became remote and he grew up in solitude. As the poet grew, he reflected deeply on what really matters in life. The moments we cherish with the people who we love the most make the most precious memories. There is nothing more valuable. Pick up this necklace for someone who makes your moments matter. This sterling silver pendant is available on an 18” sterling silver chain or an adjustable black cord.